In addition to designing her own websites, Andy has helped many small businesses and non profits establish their image on the World Wide Web. With tools like Social Marketing, Weebly, Word Press, Constant Contact, MailChimp, HootSuite, 123RF, and Google Analytics your Web site and email blasts can be modernized easily and inexpensively, and help you grow your business with you in the driver's seat. Andy specializes in empowering women to take control of their online presence through efficient and economic tools, techniques, and tactics in a short term manner in order to ensure their independence quickly. Schedule an appointment with Andy to pursue your online goals. Access Anything - The Kennedy's pride and joy has gone through many phases in its life, and Andy began managing it herself in 2010, first on the WordPress platform, then over to Weebly with the many other sites Andy helps to design and manage for herself and her clients. Andy is also very experienced in growing the mailing list and social following: Access Anything boasts over 165,000 followers on Twitter and Facebook. Yes, that number is right! 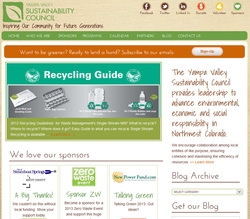 Yampa Valley Sustainability Council - Since 2009 Andy has been managing the YVSC website on the WordPress platform and worked with Colomark Media in 2012 to give the site a total facelift and modern design. As Program and Marketing Director for YVSC since May 2012, Andy established and maintains YVSC's blog, manages the organization's Twitter, LinkedIn, and Facebook pages as well as the mailing list, newsletter, and email blasts with Constant Contact. YVSC keeps Andy on her toes, check out this busy organization! Heartfire Massage- In 2012 Andy helped Best in the 'Boat massage therapist Erica Olson take over her online presence with the Weebly platform and created a unique site with a specialized template from DivTag, as well as using tools for growing Erica's list with marketing like Mailchimp, and integrating her existing client calendar on FullSlate. Andy has also worked with Awaken Massage, InnerWave Integrated Body Dynamics, and Steamboat Independent Spa on developing their online image. 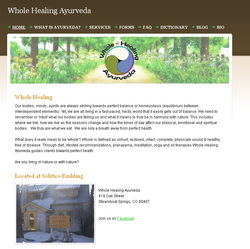 Whole Healing Ayurveda - With the December 2011 launch of this Ayurvedic practice in Steamboat, business owner Tracy and Andy worked hard on WHA's website, email system, logo, and business design to meet a deadline before the new year. Andy is often eager to trade for her services, especially with body workers! 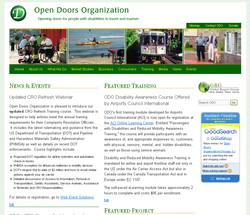 Open Doors Organization - When Andy joined the staff of ODO in 2011, their website was extremely outdated (think 1999) and virtually impossible to navigate for the information its visitors desperately needed. Together with an html expert and ODO's staff writer, they designed an amazing update to their online presence with Word Press and MailChimp, which Andy continued to maintain through September 2012. 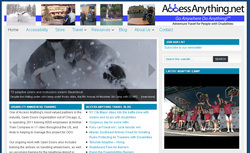 Andy is also experienced at creating online surveys and newsletters. See her Design and Writing pages for samples. 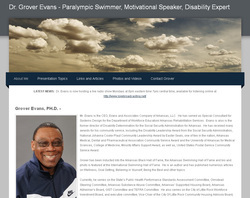 Dr. Grover Evans - Decorated Olympian, Motivational Speaker, Government Consultant and trusted Board Director to many organizations, Dr. Evans entrusted his public online image to Andy and Weebly in 2010. Dr. Evans passed away in 2017, and will be so missed. Rest in Peace Grover, our dear friend. Other samples: Beccy Brane, Nature's Design, Guardian Property Management, Awaken Massage, and Happy's Space. Andy also created and maintains the Innerself Lightworks website, her own holistic coaching business, and the Community of Light/School of Light website, uniting the local holistic practitioners in the Yampa Valley.